This patriotic show takes the common wax museum to the next level. Inspired by Great Moments with Mr. Lincoln, this attraction now gives more of a focus on the men who became president, and their hopes and fears regarding their time in office. It shows that the presidents are truly "real people" and that anybody can become president. Following a film portion, the screen parts to reveal a stage filled with all 43 men who have been president of the United States. Each is introduced in turn, with the animatronic figure responding appropriately. During the film portion, George Washington speaks of being president (voice of David Morse) and later the Animatronic doppelgangers of Abraham Lincoln (voice of original Disney "Lincoln" Royal Dano) and current president Barack Obama (himself) give speeches. Location: On the right side as you enter Liberty Square from Main Street. Open/Close: Opens and closes with the park. The final show will begin 30 minutes before the park closes. Wait Times: e to have to wait more than one show to get in. Queue Description: Lobby of the theater contains rotating exhibits. The first exhibit following the 2009 remodeling is an exhibit of dresses of some of the country's First Ladies. Ride Access: The waiting area and theater are fully accessible. Audio: Assistive listening and reflective captioning devices for this attraction are available from Guest Services. Weight and Size Issues: Leg room is spacious; theater seats are large, but may be tight for some. The theater frequently does not fill completely so it may be possible to get a seat with space on either side. At this location: The Hall of Presidents has been in this location since the park opened in 1971. The Attraction's History: This is an attraction designed to change at least every eight years. Opening in 1971 with every president up to Richard Nixon, the intervening years have seen the additions of Gerald Ford, Jimmy Carter, Ronald Reagan, George H.W. Bush, Bill Clinton, George W. Bush and Barack Obama. In 1993 the show installed the Bill Clinton animatronic and for the first time, a president other than Abraham Lincoln spoke during the show, and the real Bill Clinton provided the voice. At the same time an updated movie narrated by poet Maya Angelou (a favorite of President Clinton) was installed. In July 2001, when the George W. Bush animatronic was installed, he continued the new tradition, and provided a short speech to be used during the show. At that time the show's narrator was also changed to J.D. Hall, an actor who previously provided the voice of Frederick Douglass in the Great Moments with Mr. Lincoln show at Disneyland. With the addition of current president Barack Obama, the current show features Morgan Freeman as narrator. 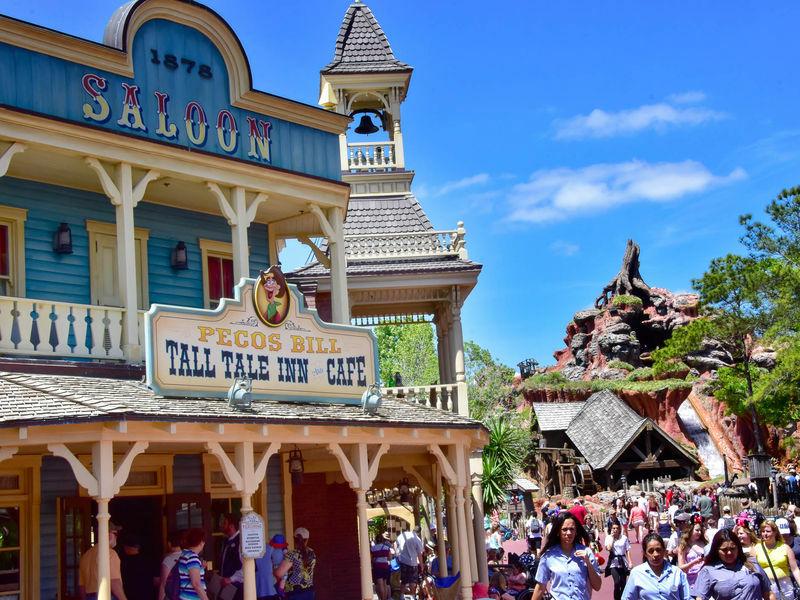 Lincoln's voice is once again Royal Dano, the original voice of Great Moments with Mr. Lincoln, and David Morse provides the voice of George Washington, who speaks for the first time at this attraction.